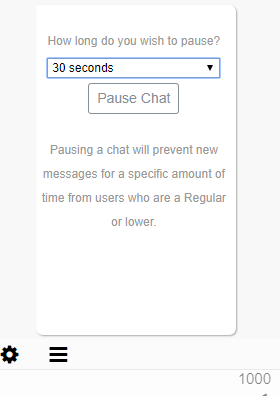 Minnit Chat is proud to unveil our newest feature: “Pause”. 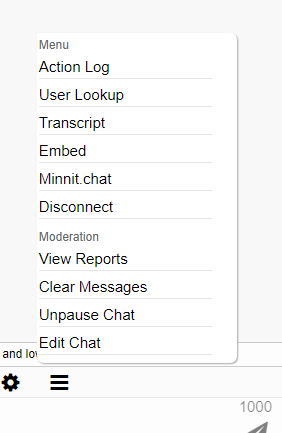 This is useful if you need to take a break from the chat, and no other Mods are online. Or, if there are a lot of spammers, and you need them to be quiet while you sort through and ban them. To use, simply click the Menu icon above the chat, and click Pause Chat. After you do this, everyone in your chat will see a message above the text box, explaining that the chat is Paused. If you Pause for a very long time, and want to undo it sooner, no problem. Simply go to the menu, and click Unpause, to let people talk early. By default, only Owners may Pause the chat. 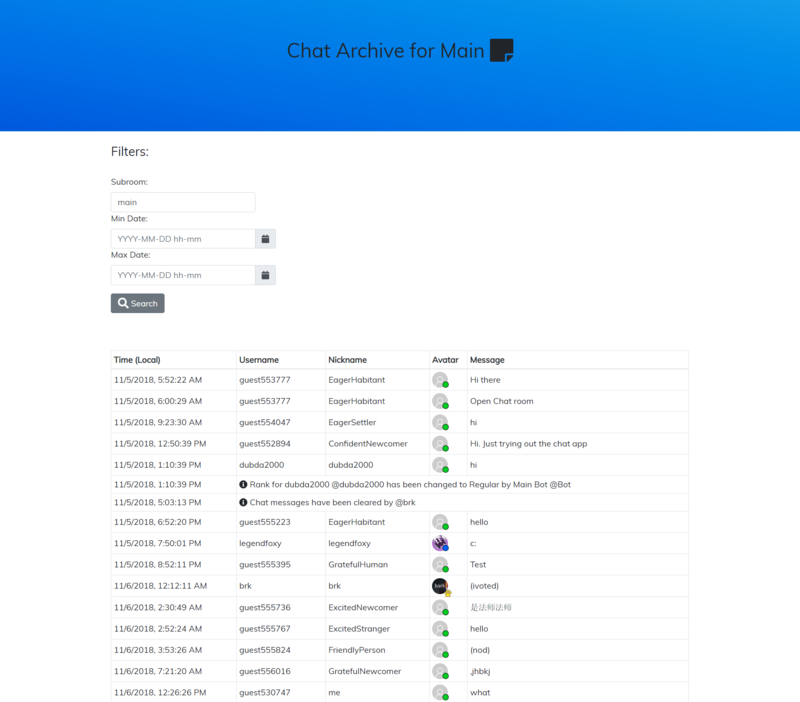 Using the Edit Chat page, though, you can allow all Managers or Moderators to have access, as well, and configure how long it’ll last – up to 1 week. You can also choose which ranks get Paused, so if you want to let your Managers pause Moderators and lower, then you can do that. The choice is yours. This feature is available for all chats, starting today. Minnit Chat is proud to announce a major update. While some of it is behind-the-scenes, there are a few major things we think you’ll like. First off, is the introduction of Premium Plans. Don’t worry, our existing features, that you know and love, will remain free. Minnit will still remain a great, free embed chat. We’re just adding new features for the premium plans. Premium features can be found by going to minnit.chat/pricing. 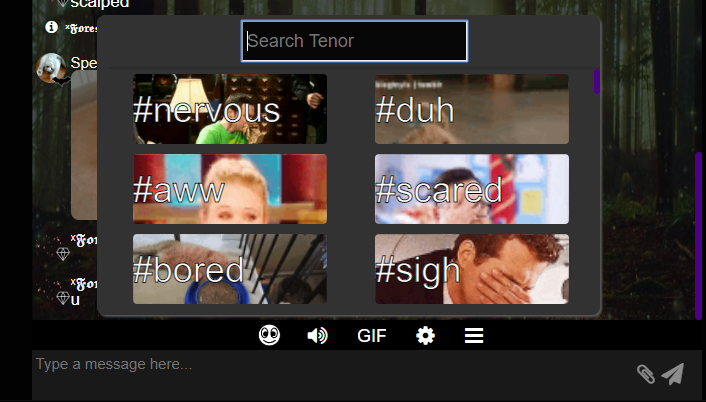 Here, you will see various pricing options for our new features, which include full customization of the chat’s CSS, the ability to upload your own emojis, have more concurrent users, and loosened limitations on many of the other existing features available in the free tier. We’ve gotten great feedback from our users over the past year, and we really think you’ll like our new premium features — and having them is a great way to help support Minnit Chat’s continued development. In the future, we plan to add even more features to enhance your chatting experience, including the ability to integrate your existing database more closely with Minnit Chat, more ways to limit the Minnit branding, the ability to instantly share files with users in your chat, and more. Stay tuned to twitter.com/MinnitChat for more information. * You can now endlessly scroll up to view older messages, either until the messages are gone (14-days on free tier), or until you reach a spot where a Moderator or higher used /clear. Now, you can see what happened while you were away, and easily catch up! * Endless scrolling doesn’t stop there. This also applies to Direct Messages. 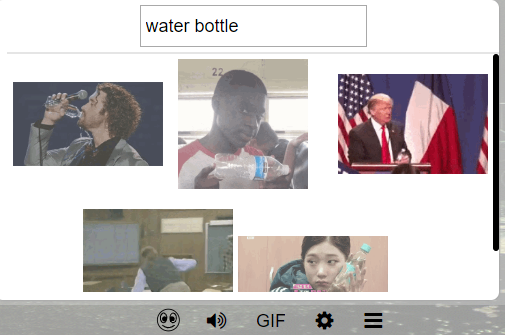 Remember when your friend sent you that funny GIF? Just scroll up and find it again, and relive the memories. Direct Messages will be stored for 30 days, regardless of your tier. * The old rank of “Administrator” is now renamed to “Manager”. Many users found it confusing that Admins did not have complete and total control. We’re always listening to user feedback. You can check out the discussion here. 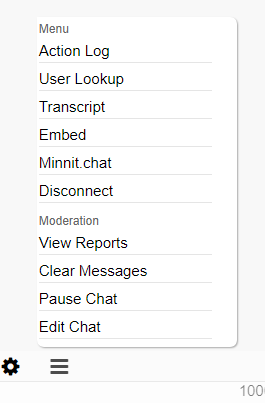 Users with any questions can contact minnit.chat/support. We know that the prices listed on the buy page can be confusing if you aren’t living in the US. We’ve now updated the buy page to support many of the major currencies, as well as displaying tax inclusive prices. When you visit the buy page, it will automatically detect what country you’re from and set the appropriate currency. If we can’t support your local currency, US dollars will be used instead. Click here to buy coins. If your local currency is not supported, please contact us here and we’ll try to help. Minnit is pleased to introduce a huge overhaul to the Subroom system. Now, you can create your own subrooms, and control who may enter/speak in them. To access this new menu, go to your Chat Settings (click “Edit Your Chat”), then click Subrooms on the left-hand menu. Here, you may add a total of 3 subrooms, including the #main one. Give it a code, which you can call using # (like #brkcity or #lemonheads), as well as a display name. Save changes, and you’ll be set! All of your existing Moderators/Admins will keep their ranks in all subrooms. This is just a more convenient way to split your chat up. You could have #updates where you & your Owners can go to post about important events, and nobody else can talk — so they keep up to date. Or, have #nsfw where users go to have inappropriate conversations, while keeping your #main chat appropriate. If you want to link someone directly to a subroom, you can do so by linking to minnit.chat/main?subroom=brkcity for example.